Embroidered directly to embossed black leather, three Siam 14mm Swarovski Crystals, embezzled in 24 kt gold plated beads. I have randomly embroidered sections of the leather, to high light its pattern and give texture. The loops are secured by two 18mm Onyx Swarovski buttons. 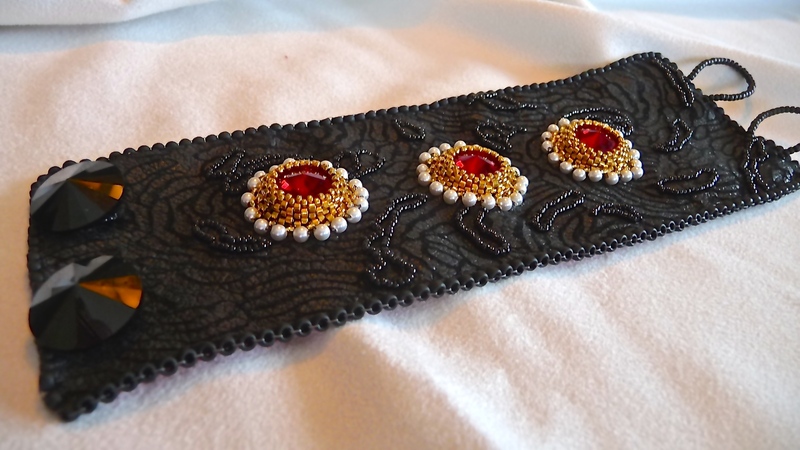 The cuff measures 2″ wide and 71/2 ” long.